Brook came to the ring to a rapturous reception and rose to the occasion like an elite World ruler. The Sheffield star eased into the opening round and Dan felt the first of many right hands in the second half of the first stanza. A sign of things to follow came in the second round as Dan hit the canvas early and then again after making the count, both from right uppercuts. The Romanian-Canadian was wobbled once more with a minute to go but gritted his teeth to hear the bell. Brook cemented his dominance in the third round and Dan once again looked ready to fall and the writing was on the wall. Dan was on the receiving end of another barrage at the beginning of the fourth and a flurry of punches floored him once more and again on the bell, where he was pulled out by his corner. 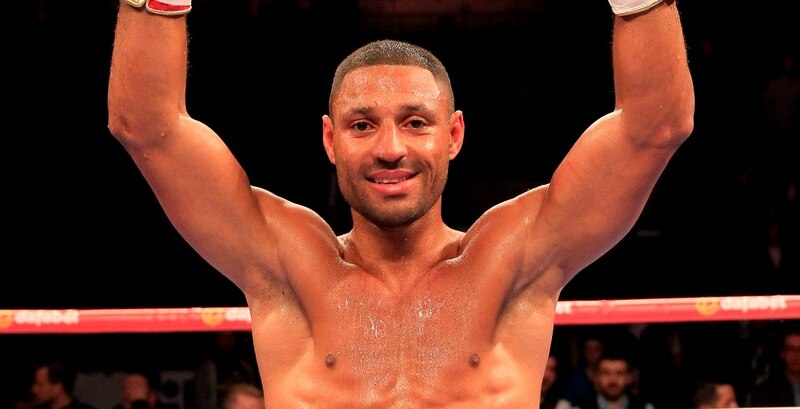 Brook moves to 34-0 with his 23rd KO win and The Special One was quick to thank his fans at the packed out arena before setting his sights on his next victim. “It was truly amazing to walk out in front of all my fans,” said Brook. “I didn’t think I would ever box again but here I am filling arenas. I can’t put into words what it means to be back defending my World title. “It was hard today holding it together. I felt this is where I belong. I am sorry I have kept you waiting but I hope you have had a good night. I am back baby. “What a heart. I caught him with some good clean shots n he kept getting back up. He’s never been stopped and he’s a legitimate World title contender that has never been stopped and I have just taken him out in style. “You see little bits of greatness but much more to come from me and I will be back out in June in a massive fight. “Amir Khan, Juan Manuel Marquez, Brandon Rios – those are the sort of names I want. Bring them on. I want to entertain the fans and want them to tell me who they want to see me fight – I think the answer is Amir Khan, and if he’s watching – let’s do it, come and fight me.